I'm in Australia. And like gmrhodes13 said ''They can only be purchased in small tubes here''. So I'll either buy E6000 in small tubes at a local craft store, or online like Amazon. Thanks for the feedback guys. I am outside of the US, so E6000 is a little difficult to find. However I did hear about the differences between real and fake E6000. So I know what to look for when I eventually find the glue (including online). Thanks again for clearing things up for me. I'll stay with E6000. Hey everyone I have question regarding another option for glue. This is my first build so natural I was on the lookout for E6000, permanent glue that can still be taken apart from mistakes. I was looking in a local hardware store for E6000 but could not find any currently in stock, however I did find something else called Weldbond. Its permanent bond, water resistant, clear and as a bonus, its non-toxic and odourless. Would Weldbond be a suitable substitute to glue ABS plastic together? Some glues are permanent and can’t be taken apart, but E6000 is permanent and can be taken apart. So if anyone knows about this glue or has hands on experience using this glue, please let me know if this would be suitable for my kit. Helmet paints Humbrol Gloss Black enamel #21 Humbrol Gloss Dark Admiral Grey enamel #5 Humbrol Gloss French Blue enamel #14 (for the tube stripes I've yet to paint) You can find detailed guide with picture for the specific paints on the 'Assembly, mod and painting' - Tutorials, tips and HOWTOs section for the ANH paint reference guide. Hope this helps. Thanks. Yes that would be a good idea. I'll start a build thread. Thanks for the helpful feedback. I'll get to work on those improvements. I am currently painting my AP helmet and just wanted to ask a few questions before I go any further (aiming for Centurion). 1. Is the trap under the eye a correct size, or does it need to be bigger? 2. 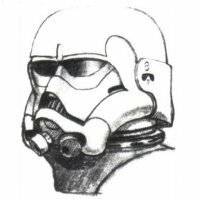 Although the stormtrooper guidelines say that the tube stripes range between 9-16, is there a particular number that most troopers go with just to be safe for approval? And apart from the pencil width measurement, what are the measurements for between the bump and first stripe, the ear and the last stripe and the gaps between each strip? 3. Also while I was painting, I noticed that there were some bumps on some the painted parts. I've been carefully testing on scrap pieces of ABS using new Humbrol paint, new brushes and still keep finding little bumps in the paint. Using a thick or thin brush, lots to little amounts of paint, but all to the same result. Although its not too noticeable I don't want to use it on anything large like the chin area unless I can find a way to make it completely smooth. Can anyone offer any painting tips on how to prevent tiny dots on hand painting? Shinyarmour1 replied to Ashton Moulder's topic in Getting Started - Read this First! Yes it is. 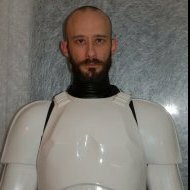 If you look on the centurion request forum, you will find a lot of troopers who have take Anovos kits to the best level of approval. Shinyarmour1 replied to Cbullen37's topic in Getting Started - Read this First! Totally agree with you guys. I ordered my armour late last year and keep getting the same delayed email. I'm not 100% sure what to do, but I am leaning towards cancelling my Anovos order and purchasing from a different dealership. I hate to think that I have waisted a year waiting for this armour to arrive...BUT I have read some post about the Anovos armour that had me concerned. Apparently it is thinner than other armour (some have even said "paper thin") in certain areas and prone to cracks and splits. I think I might cancel the order and purchase a much sturdier kit from another dealer. Apparently I've seen 2 new armour makers WTF and RWA. I've heard they are both really good. Back to square 1...RESEARCH. Has anyone purchased a blaster from this guy? Thanks for the input guys, I've been looking at blaster kits recently as a last option. Not to sound lazy, but I was originally going to consider purchasing a completed e-11 blaster from Questdesigncanada (since we are both located in Canada, there won't be any customs issues). The problem is that his etsy.com page does not have any info regarding himself or his services (only his location in Canada). I sent an email over a month ago asking for more information, but still have not heard anything. Has anybody else experienced the same communication problem or could shed some light on any Questdesigncanada knowledge? Looking at e-11 kits (other than Doopy Doos) when I came across Blaster-Master. http://store.ebay.com/Blaster-Master Stormtrooper Uber E-11 Blaster Rifle Model Base Kit Replica Has anyone done business with this guy or know anything about the blaster itself? Would these gloves be acceptable? Thanks for the feedback guys. I have checked with my GML and I believe these dishwasher glove are acceptable. Also, they will make a great backup pair if I get some better gloves in the future. Thanks again. Which one of these two is the better blaster? Is this an ideal kit choice for centurion approval?